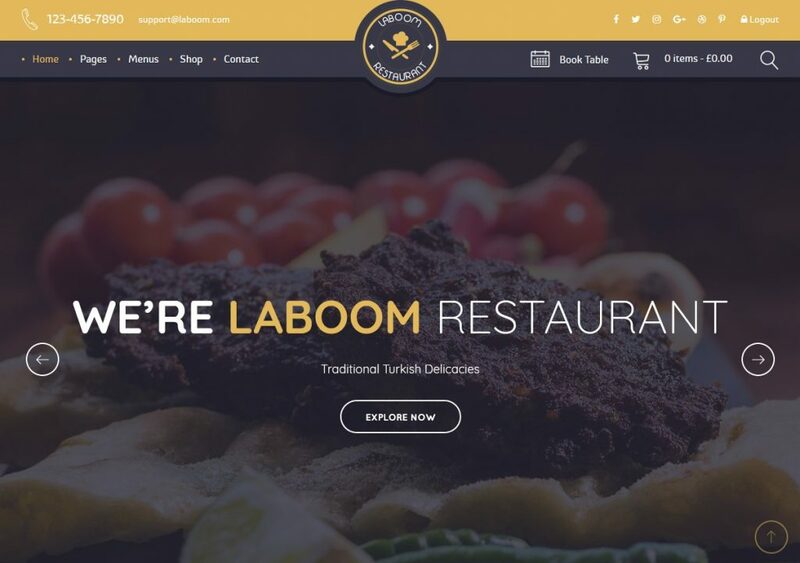 Laboom is a groovy new theme for restaurants from Theme of the Spyropress. Visually, the theme is a perfect fit for an eatery — the funky typography, the front page set up, and the emphasis on food imagery all denote the perfect Restaurant theme. However, the appearance isn’t even what sets this theme apart — it’s the function and accompanying plugins that power it. 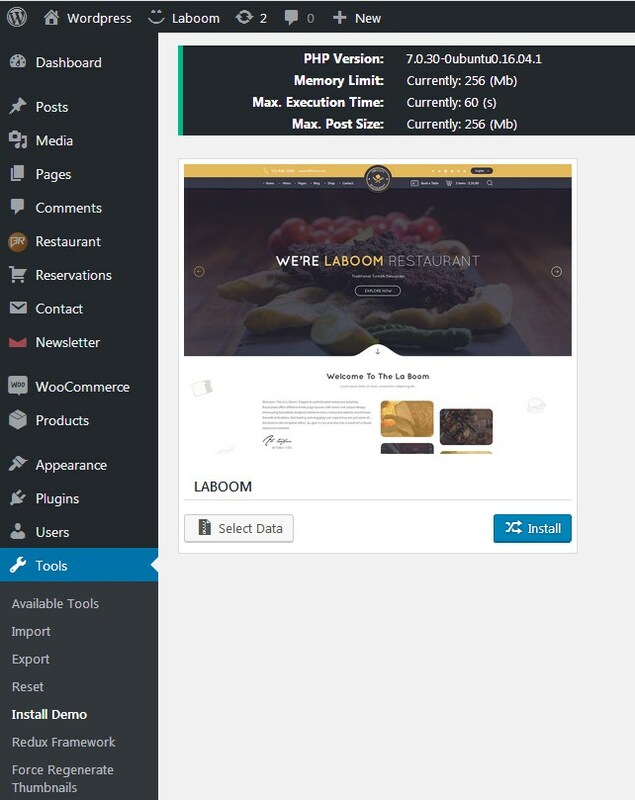 Laboom was created to work with a number of specific plugins written for brick-and-mortar businesses, a few of which were created solely for restaurant websites. After activating the theme, you’ll be hit with a pop-up that informs you of the recommended next steps: downloading the accompanying plugins, install demo content until your full copy is ready, read the full user guide, and contact support if you have any questions or problems. You are also given the option of installing demo content by one-click in the Tool >> Install Demo tab. Food and Drink Menu Pro, packaged free with the theme (it normally costs $25), allows you to create an unlimited number of menus and menu sections. It’s perfect for restaurants with a set daily/weekly menu. Testimonial is a post-type for you to add customer reviews and testimonials to your site. It comes with the option of rating stars to accompany each review. 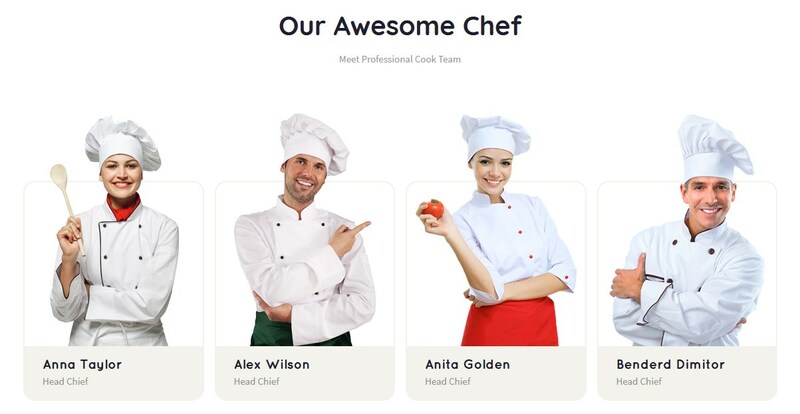 Team Members adds a page for you to showcase your different cooks. 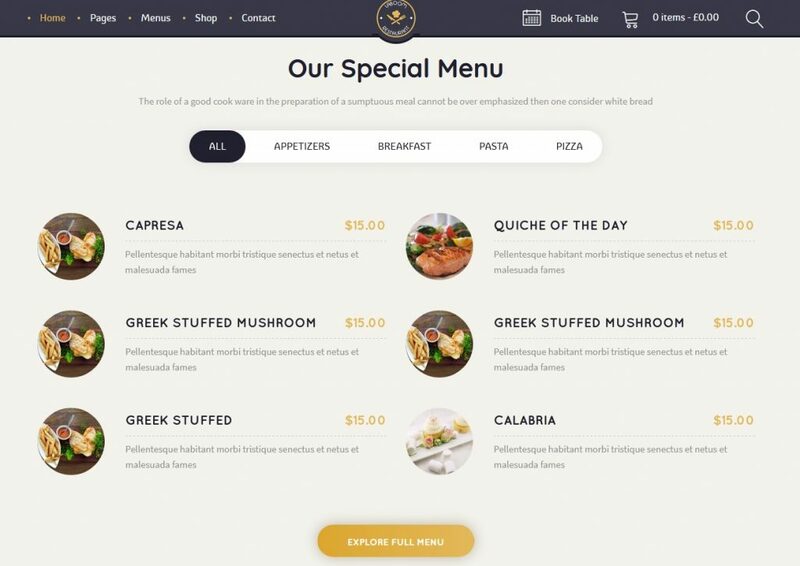 It’s not something that most restaurant websites do, so it could potentially be a good way to differentiate yourselves from the rest of the café competition and develop a cook-to-customer connection. Laboom was designed to emphasize front page contact details, hence Contact Cards. These cards allow you to showcase restaurant timings, directions to your place of business via Google Maps, and your phone number. You can also choose to any combination of the three elements. Moreover, it also includes a Contact form plugin, so that customers can contact the restaurant as soon as necessary. 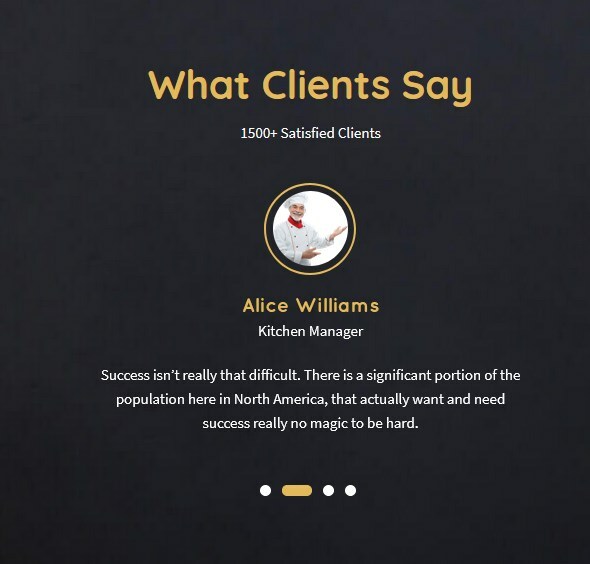 The theme offers a built-in slider for you to emphasize the qualities of your restaurant. Each slide can also have an optional call to action button. This theme includes the Slider Revolution plugin, saving you $28. Theme of the Spyropress is run by a company. So, after sending them an e-mail with a few questions about the theme, they responded within three hours with detailed responses. At first glance, the theme setup appears to be rather complex and a bit difficult to learn, but after spending a few minutes playing around with each of the functions, I am confident that the average WordPress user wouldn’t need much extra help from Spyropress . Laboom is priced at $59. Fifty bucks for a highly specialized restaurant theme, plus some other premium plugins for free, sounds like a pretty good business investment. Theme of the Spyropress has kicked off business with a bang with Laboom. One of Spyropress’s pet peeves is that most of today’s theme designers avoid separating theme from function. In other words, specific functions are peculiar only to a certain theme. In case you ever decide to move on to a different theme or even a custom design, you’ll lose all the data that belonged in the functions specific to your previous theme. Laboom, though, introduces all the different functions in the form of plugins. If you ever decide for a new look, all your content goes with you. All things considered, Laboom is a robust, fairly priced theme for restaurants.